Groupthink is the tendency for small homogenous groups to make poor decisions due to a lack of diversity, independent thinking and a desire for conformity. As information that contradicts the group’s wisdom is either excluded or dismissed as obviously mistaken, members come away from meetings with their opinions reinforced. Homogenous groups are more likely to become cohesive than diverse groups and as this occurs they become more reliant on the group, more insulated from external influence and as a result more certain that the group’s view on an important issue is correct. Groups that have too many similar people in them find it harder to keep learning because each person is bringing less and less new information to the group. Homogeneous groups become progressively less effective at exploring alternative solutions. Such groups suffer from an illusion of invulnerability, a tendency to rationalise away counterarguments to the group’s solution and a belief that dissent is not helpful. This means the “ingroup” overestimates its own expertise and underestimates the abilities of other people (the outgroup). Groupthink may also lead to dehumanizing behaviour towards the “outgroup” to undermine their potential contribution to the “ingroup”. Homogeneity also creates a pressure to conform as people don’t like to stand or feel isolated. People in groups will often change their opinion, not because they believe the majority view, but because it is easier to change their opinion than to challenge the group’s view. As a result independent thinking is compromised by group think. Indeed, James Surowiecki in The Wisdom of Crowds argues that the greater the influence a group’s members have on each other, and the more personal interaction there is between members, the more likely they will make a poor decision. The psychologist Irving Janis published a book in 1972 which argued that groupthink was responsible for the US not being prepared for the Japanese attack on Pearl Harbour in 1941. Admiral Kimmel and his staff ignored clear warnings about a Japanese attack on Pearl Harbour because of a culture of group cohesion and lack of critical thinking. Janis argued that the Bay of Pigs disaster (the planned invasion of Castro’s Cuba in 1961) was also caused by groupthink. More recently I would argue the Kendall Jenner Pepsi ad in 2017 is probably the result of groupthink as it was produced by Pepsi’s in-house agency, Creators League Studio. Apart from a being clumsily executed, the Pepsi ad tries to benefit commercially from protest movements such as Black Lives Matter. This is morally wrong, but it also shows a complete lack of understanding of the nature of these types of protests and demonstrates how out of touch the group who produced the ad were with this segment of American society. If members of the team had taken the effort to go to a protest march and discuss the feelings of people participating then this execution may have never been taken forward. Observations and interviews at a march would have given them a sense of the strength of the raw emotions involved and the importance of the issues behind such protests. It also does not help that these large corporations are obsessed with recruiting the most talented individuals from the top universities. This almost inevitably leads to teams packed full of similar minded young white males. 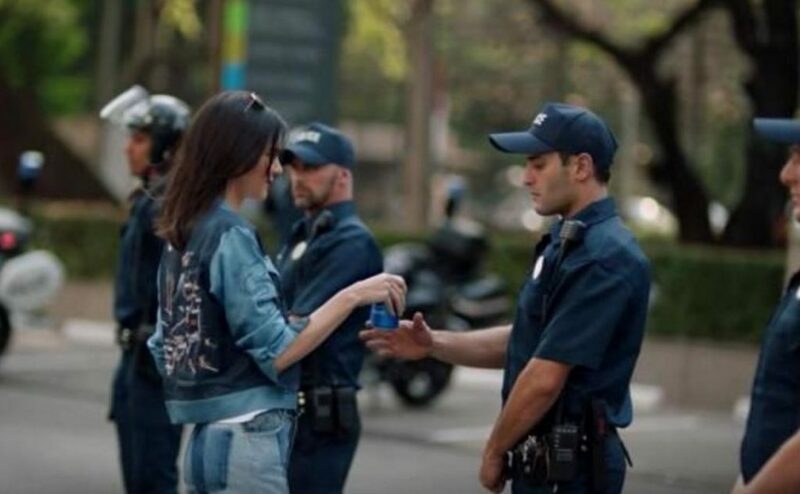 Pepsi does have a good reputation for recruiting women at a senior level, but gender equality is only one aspect of diversity. Surowiecki points out the limitations of relying too much on expertise. 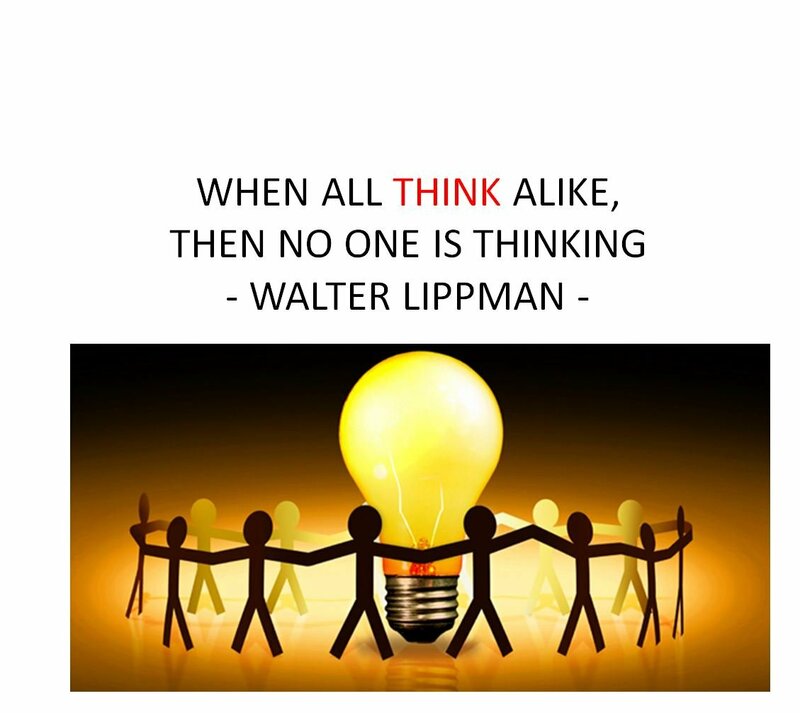 To avoid falling into the trap of groupthink it is important to encourage diversity, independent thinking and decentralisation of decision making. Diversity is your friend. Engage widely within your organisation and establish easily accessible processes for people to submit ideas or raise concerns about your site or applications. Publicise your framework for optimisation, the roadmap and test results to promote discussion and oversight. Ensure customers are put at the heart of decision making by focusing on user needs. This should include using qualitative and quantitative data, customer research, complaints data, web and behavioural analytics and usability testing. Having a constant flow of inputs from customer related data sources helps to avoid the group becoming too insular and counters the illusion of invulnerability. Avoid over reliance on best practice as this can be used to obstruct independent thinking and innovation. Promote the concept of proving yourself wrong with optimisation experiments and challenging things that are taken for granted (e.g. brand guidelines). A key characteristic of successful group decision making is to get people to take less notice of what everyone else is saying. Allow people to develop their own hypothesis and assist them with this process when they want help. But avoid trying to control the whole optimisation process within your team as this can again stifle innovation and discussion. Groupthink can be a problem for any small team that has overriding responsibility for developing ideas and decision making. Don’t become a silo. Seek to collaborate widely, constantly review new ideas and data from customer centric sources, encourage independent thinking and consult widely to prevent decision making being too centralised.